Are Pit Bulls Easy to Identify? Why Do We Hear So Much About Pit Bull Attacks? Can Pit Bulls Do More Damage Than Other Breeds? Are Pit Bull Attacks Sudden and Unprovoked? What are Some Misconceptions About Pit Bulls? Should Pit Bulls Be Around Children? Are Pit Bulls Human Aggressive By Nature? Are Pit Bulls Bred to Be Aggressive To Dogs? 1-800-Pet-Meds: Which Side Are You On? Actually, no. Everyone has a different idea of what a pit bull is and should look like. Love-A-Bull considers the following breeds, and dogs that are mixes of these breeds, to be “pit bulls” or “pit bull mixes”: American Pit Bull Terrier, American Staffordshire Terrier, and Staffordshire Bull Terrier. However, the only way to know whether a dog is one of these breeds is to run a DNA test on the dog–and today’s DNA tests aren’t exactly cheap. For this reason, most people identify “pit bulls” based on individual visual assessments. These assessments are subjective, meaning they are influenced by a person’s preconceived notions about what a particular type of dog should look like. What do you think a pit bull should look like? 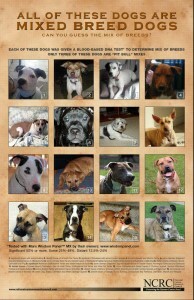 All of the dogs shown below are purebred representatives of their breed. Only one is a purebred pit bull (American Pit Bull Terrier). Answers are at the bottom of the image; you can click to enlarge. Good luck! Identifying mixed-breed dogs of any type can be extremely difficult. Can you tell the difference between a Lab mix and another type of dog? Can you tell which one is a Pit Bull mix or not at all? From the National Canine Research Council. It appears the news media is more interested in putting stories out that “sell” than reporting stories that are even-handed or are always in the public’s best interest. For example, between 1990-1998, when the nation’s murder rate declined by 20%, the number of murder stories on network newscasts increased by 600% (excluding stories about O.J. Simpson). (Steven Stark, “Local News: The Biggest Scandal on TV,” Washington Monthly (June 1997) at 38-41) cited in The Culture of Fear, Barry Glassner at xxi (1999). As a result, public perception was that murder was on the rise. In response to polling, people stated that the reason they believed murder was on the rise was not personal experience, but rather what they saw in the “news.” Ibid at xi, xxi. The pit bull phenomenon is very similar. Consider the following study performed by the National Canine Research Council: In August of 2007, four serious dog attacks were tracked. This severe bias has a devastating effect on public perception and takes a toll on public safety. 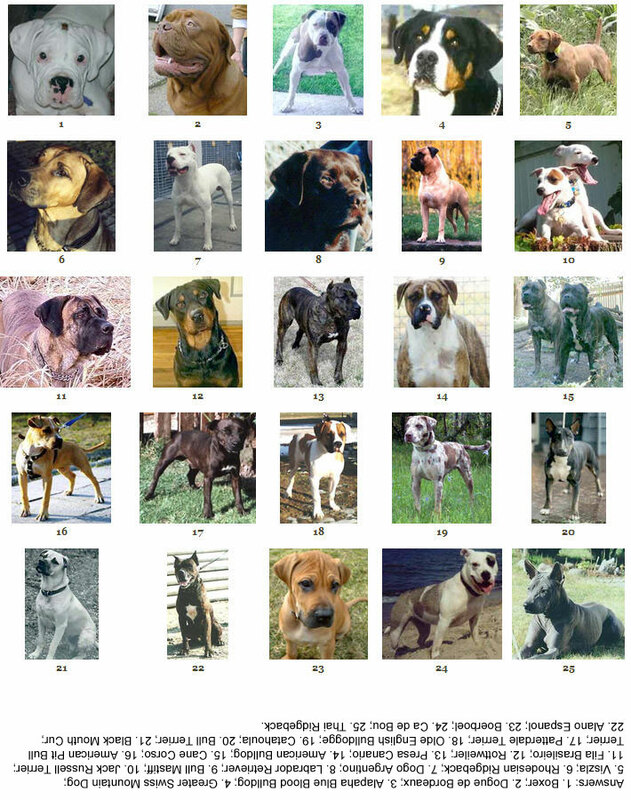 For example, since 1965-2008, there have been 17 different breeds/types of dogs have been identified in connection with dog bite fatalities in Texas. All of the dogs have been intact (not spayed/neutered). A significant number of the dogs involved were either being used for breeding and/or lived their lives at the ends of chains. Austin has passed an anti-tethering law, but that law needs to be made state-wide. These causal factors are too often ignored as we focus on breed, and this is a detriment to public safety. The damage that a dog does when it bites depends on the location of the bite, the victim’s behavior while being bitten (twisting away will cause more damage than holding still), and the size ratio between dog and victim, among other factors. Breed has very little to do with bite strength or level of damage. You can look at a dog bite and guess the dog’s size, the victim’s behavior, but you cannot guess the breed of dog that bit a person by looking at the dog bite. Many numbers are floating around that claim to be the PSI (pounds per square inch) of pit bulls’ jaw strength. The numbers range wildly, from 800 PSI to 2000 PSI. These numbers are completely unfounded; there are no scientific studies to back any of these numbers up. In fact, bite force cannot even be accurately measured in PSI; the proper term is “pounds of force” or “Newtons” (metric system). One study conducted by Dr. Brady Barr of National Geographic showed that the average domestic canine has an average bite of 320 pounds of force. In one portion of the documented study, Dr. Barr tested three dog breeds, a German Shepherd Dog, a Rottweiler and an American Pit Bull Terrier. The Rottweiler bit with 328 pounds of force, the highest pounds of force ever recorded from a domestic dog. The German Shepherd bit with 238 pounds of force, and the an American Pit Bull Terrier bit with 235 pounds of force. It is important to look at the underlying factors of an attack. The media repeatedly fails to do so. Often, the owner describes an attack as unprovoked, but you read further, and the reporter describes the home as having “guard dog” signs. Dogs maintained outside the home (on chains, in kennels or in yards) and/or dogs obtained for negative functions (guarding, fighting, protection, breeding for financial gain) are not family pets; they are what are sometimes referred to as “resident dogs.” Acknowledging the environment in which they live and the function for which they are maintained is vital to understanding their behavior and, when the situation arises, their aggression. Resident dogs cannot be expected to exhibit the same behaviors and level of sociability as family dogs. The simple reason why we see pit bulls involved in more attacks now (though not nearly as many as the media would have one believe) is there are more of them being kept as “resident dogs” vs. family pets. To give a statistic, 75% of Austin’s tethering calls are related to pit bulls, and 22% of its stray dog calls are related to pit bulls. (Source: City of Austin, 2008). The higher the abuse of a particular breed of dog, the more likely it is going to exhibit aggression. Studies have found that a tethered dog is 2.8 times more likely to attack. So, it is reasonable to presume that the breed suffering the most abuse will exhibit the most problems. This historically correlates with breeds that have suffered abuse (i.e., been used as “resident dogs”) in the past, such as Rottweilers in the 90s, Dobermans in the 80s, and German Shepherds in the 70s. Correspondingly, historically, during periods of time when pit bulls were popular family pets, and were not being used in record numbers as “resident dogs,” their attack statistics were extremely low. Finally, the average person does not understand dog behavior and body language. There is always a reason for a dog’s behavior. The lead-up to overt aggressive behavior usually proceeds in a very structured way, starting with low-level signals like flattened ears or tucked tail, proceeding through “whale eyes” or quiet growls, and if these signs are not acknowledged, the dog will resort to snapping, barking, or biting. When a person misses the early warning signs, it may appear that the dog is suddenly biting for no apparent reason. This is true for all dogs. The first misconception is that “pit bull” is a breed. It is not. The definition of “pit bull” varies from person to person. At its most vague, “pit bull” may describe a short-haired dog of medium build. From a technical standpoint, “pit bull” encompasses at least three breeds—the American Pit Bull Terrier, the American Staffordshire Terrier, and the Staffordshire Bull Terrier—and may sometimes include Bull Terriers and American Bulldogs. However, many people will include even unrelated or historically removed dogs like Boxers, Presa Canarios, Dogo Argentinos, and English Bulldogs. “Pit bull” may also include all mixed breed dogs with a particular (“pit bull-like”) appearance, even though we have no reliable, scientific way to determine what breeds really make up that dog’s ancestry. Even animal shelter employees label a dog’s breed or mix based on a glance and a guess. It is for this reason that pit bull attack “statistics” are so fatally flawed. 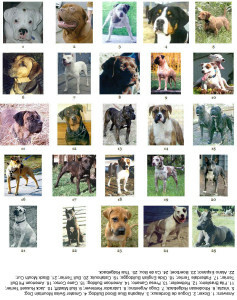 You cannot compare that many breeds grouped under one label to the rest of the dog population. In 2004, in Tellings v. City of Toledo, based on this fact, the court found that there is no statistical evidence that indicates that pit bulls bite more frequently than some other breeds of dogs. Another misconception is that pit bulls are physiologically different from other dogs. There are lots of myths about pit bulls: that they have locking jaws, that their bite is harder and stronger than other dogs’ bites, that their brains swell and cause them to “go nuts,” that they have an extra row of teeth like sharks, and even that they can unhinge their jaws like snakes! None of this is true. Science has thoroughly disproven such myths (many of which have been applied to other stereotypically “scary” breeds throughout the decades). Yet a lot of people still strongly believe that these myths are true. Even news media have published some of these myths as facts; the “locking jaw” myth and the super-strong bite are two myths that are commonly perpetuated by the news media. Finally, many people are under the impression that pit bull-type dogs are only good for one thing: fighting. This stereotype is a serious detriment to all the pit bulls that are in desperate need of loving homes. Most pit bulls are far removed from the breed-type’s history as dog-fighting dogs, and it’s arguable that many “pit bulls” are just mutts that happen to look sort of pit-bull-like. 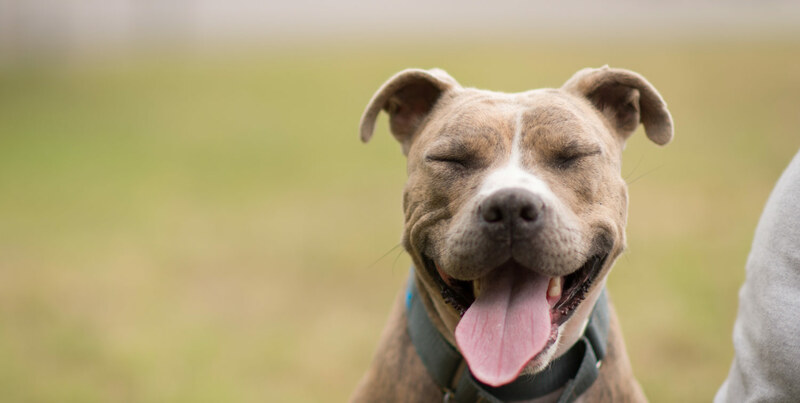 Pit bull owners who are committed to giving their dog a quality life will find that pit bulls, like all dogs, are quite moldable. Pit bull owners who are willing to look past the stereotype have been successful in dog sports like disc, flyball, agility, and even herding. Pit bulls have also found work as therapy dogs, assistance dogs, search-and-rescue dogs, and drug-sniffing K9s. Of course, like any other dog, pit bulls can also make great pets for responsible, committed owners. Like any other dog, pit bulls deserve to be a part of a loving family. A 2008 University of Pennsylvania study of 6,000 dog owners who were interviewed indicated that dogs of smaller breeds were far more likely to be “genetically predisposed towards aggressive behavior” than breeds such as those falling under the category of “pit bulls.” Dachshunds were rated the most aggressive, with 20% having bitten strangers, as well as high rates of attacks on other dogs and their owners. Because small dogs are less likely to cause serious injuries, they usually go under-reported. However, there is a case of even a Pomeranian killing a child. So, it is always important to supervise children with dogs. The American Veterinary Medical Association suggests that parents wait until a child is four years old until getting a dog, regardless of breed. Like most other large breeds, pit bulls can be excellent with children. They have a high tolerance for the normal child’s play. However, as with all dogs, children should be supervised around dogs and taught how to interact around dogs. And, the dog must be properly socialized and trained. Most importantly, the dog should be treated as a family pet, not abused or neglected. No dog breed is human aggressive by nature. Pit bulls pass the American Temperament Testing Society’s test at a rate similar to, if not higher than, many other medium-to-large, powerful breeds. The American Pit Bull Terrier, American Staffordshire Terrier, and Staffordshire Bull Terrier pass at rates of 86.4%, 84.2%, and 89.7% respectively. Compare this to Golden Retrievers (84.9%), Great Danes (79.9%), Weimaraners (80.5%), and Standard Poodles (86.3%), to name just four common breeds. They also do extremely well when compared to small breeds: Chihuahuas (71.1%), Pomeranians (75.8%), and Papillions (80.2%). Simply put, you cannot breed aggression into a dog. That goes for aggression toward humans, dogs, and other animals. Aggression is, by definition, a behavior, and behavior is influenced by both genetics and environment. To quote from one of our affiliate’s sites, wherein temperament and behavior is discussed (http://happypitbull.com/basics/nature-vs-nurture), John Paul Scott is a renowned scientific researcher who was interested in the interplay between genetics and behavior. He did experiments with mice to determine whether highly aggressive mice could be created through breeding. “The experiments with mice show us that aggression has to be learned. Defensive fighting can be stimulated by the pain of an attack, but aggression, in the strict sense of an unprovoked attack, can only be produced by training… Heredity can enter into the picture only in such ways as lowering or raising the threshold of stimulation, or modifying the physical equipment for fighting… In considering hereditary effects, we must always remember that the environmental situation is also important…” – John Paul Scott, Aggression. It’s important to discard the notion that pit bulls today are dog-aggressive as a result of their sordid history. 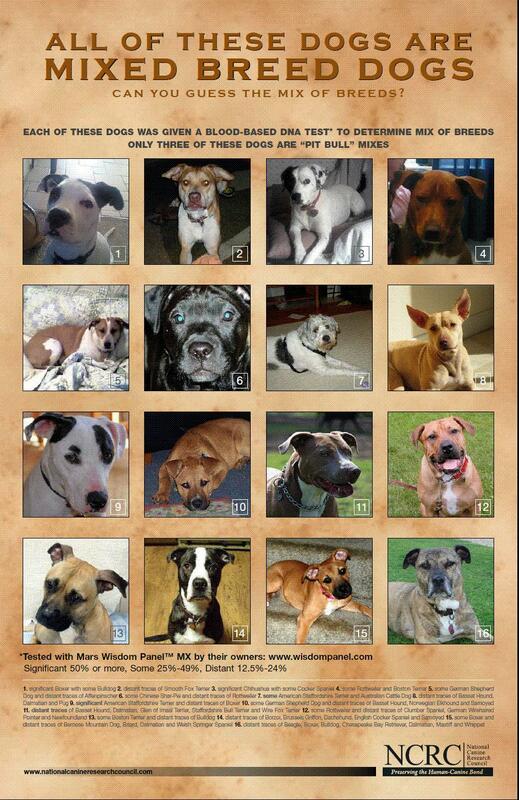 Most of the “pit bulls” out there today are far removed from their history as fighting dogs. It’s like saying Dachshunds are bred to burrow into tunnels after badgers, or Poodles are bred to retrieve game. Most dogs of these breeds don’t do that anymore. They are bred to a physical standard, not for performance. Or they are bred in someone’s backyard as a pet, with minimal, if any, regard for appearance, health, or temperament. While some individual dogs may exhibit a tendency to behave in a way that is stereotypical or traditionally associated with the breed or type, it would be a fallacy to paint the entire breed-type with that brush. Respected national trainers like Marjorie Darby, Jean Donaldson, and Janis Bradley stress that dogs become what the owner expects them to become. For instance, despite the fact that “pit bulls” are not herding dogs, Diane Jessup obtained the highest possible herding titles on several of her pit bulls, apparently simply because she thought it would be fun. Yet many people would argue that herding is an “instinct” that is bred into herding breeds! This is not to say that dogs (all dogs) are only dog-aggressive because their owner screwed up. Again, genetics does play a part; as John Paul Scott says (and Jean Donaldson says something very similar in her book, The Culture Clash), genetics raises and lowers thresholds of stimulation. Some dogs will be quicker to react than others in similar circumstances. It’s up to the owner to learn where those thresholds are, and to work within those thresholds. However, it’s important to note that we are not capable of controlling those thresholds through breeding except in the very crudest manner—by breeding two dogs with similar temperaments and hoping that the offspring are given that temperament. It rarely works so easily. It is not the same as breeding for coat color (which is controlled by only one or two genes). The resulting puppies may have fairly uniform appearances, but their temperament is theirs and theirs alone, and it’s anyone’s guess how they’ll turn out. Neither dog-aggression nor human-aggression is exclusive to “pit bulls.” It is not a state of being. Any dog can exhibit such behavior if the environment allows for it.